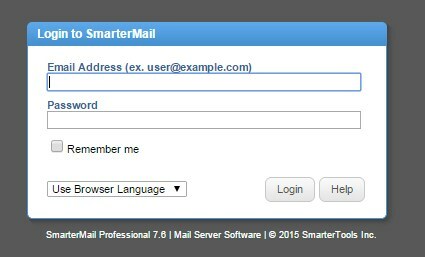 This article will explain how to set up an auto-responder for your Smartermail mailbox. Click on the Settings icon in the left side toolbar. 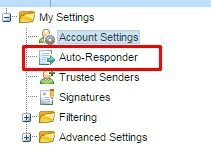 Select the Auto Responder menu from the left pane. 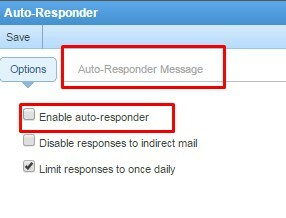 Select Enable auto-responder option to enable the auto-responder functionality. 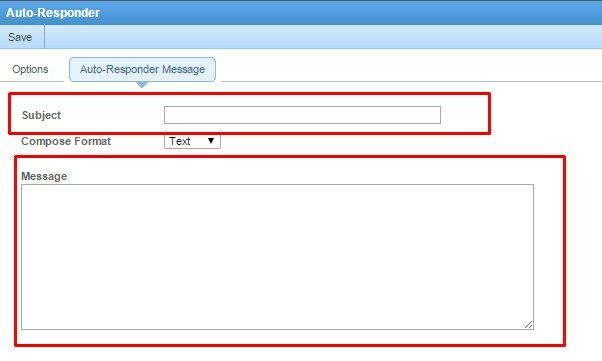 Click on Auto-Responder Message option on the menu tab and then fill in the message you wish your senders to receive. That's it, to turn the auto-responder off just simply follow the same steps but uncheck the Enable auto-responder option.